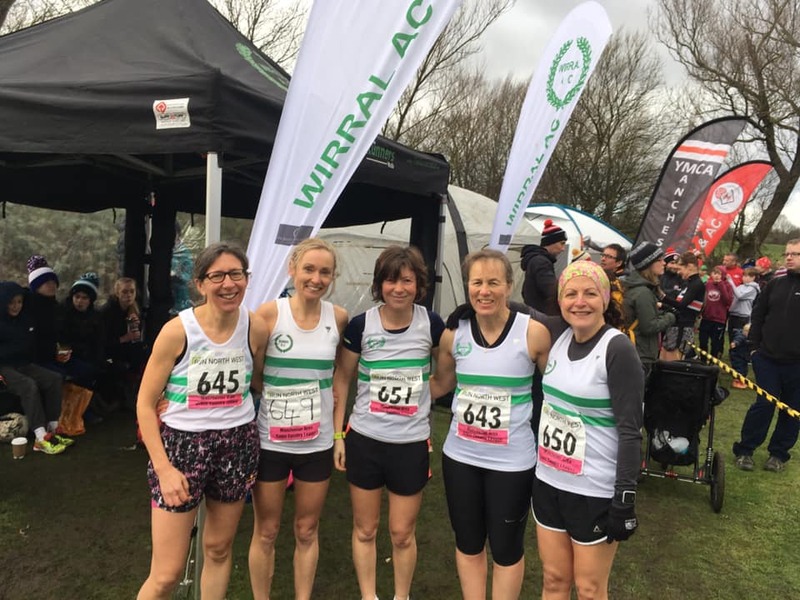 The Wirral AC Ladies have been competing at the Manchester Area Cross Country League for a number of years and last year I found myself lamenting the lack of junior involvement in what is a fantastic league at all levels. On taking up management of this league for the club I did my best to promote it to as many groups as possible. And I’m delighted to see that the Manchester League is back on the club calendar. 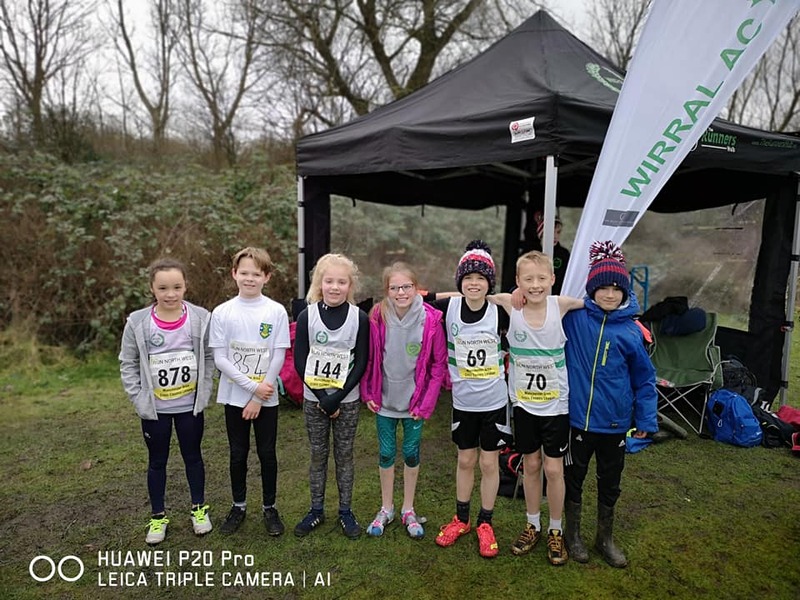 A total of 40 Wirral AC athletes competed this year from across the age groups. The ladies won in number, with 10 running over the season and we didn’t do too badly on the prize front either. 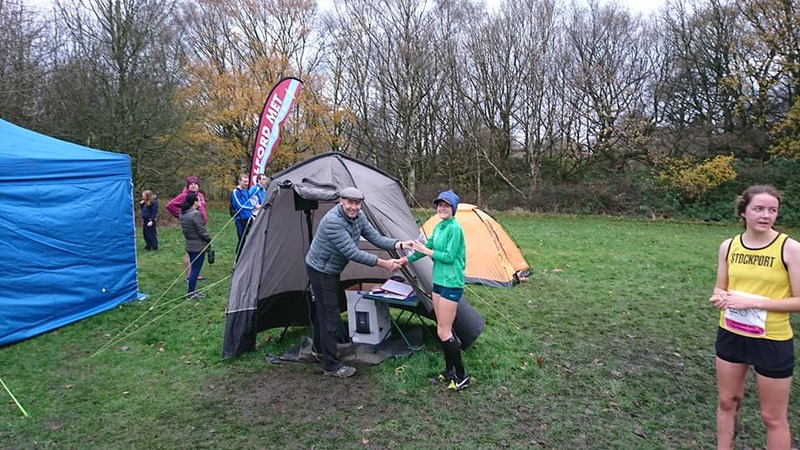 Sarah Kearney (V40) and Maggie Cooper (V50) won their age group categories, Emily Kearney won match 3 convincingly and our vets team may have sneaked 3rd place overall. 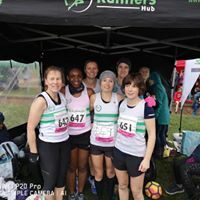 Also notable is the fact that over the years our small senior ladies team has climbed the divisions and I’m very proud to say that we now compete in the first division against the top teams in Manchester- get us! Uyai Ikpatt, Yolla McCoy, Caroline Brophy and, ahem, myself all competed in at least 4 out of 5 meetings to support the team. Well done ladies! I think Caroline Brophy won the hotly-contested cake competition, her ginger and chocolate cake is legendary!! 6 senior men competed in the league but no teams were closed in this age group. Top spot goes to John Heap in 30th place in match one. Not bad for an awd feller! But I have to say that the younger age groups really stole the show this season. 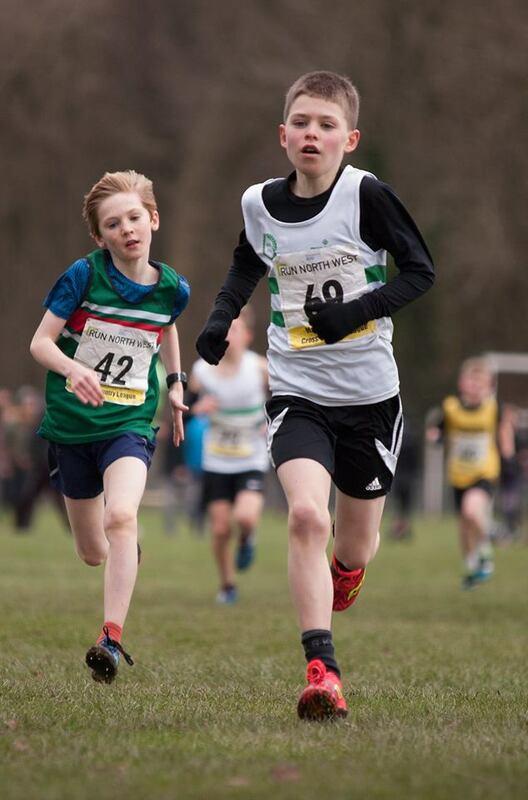 The U11 boys dominated the league with 3 in the first 5 in all races and a 1-2-3 in race 4. Oberon Kearney, winning every race, took first place over the season and Ben Cronshaw took the season bronze medal. 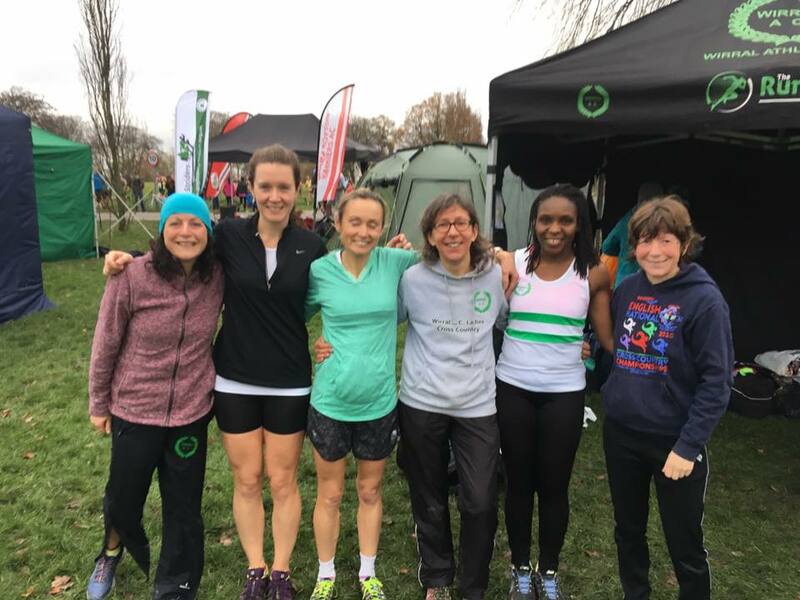 The U11 girls closed a team in each race with 6 girls competing and newcomer Megumi Hoshiko took an amazing 2nd place in her first Manchester League outing yesterday. 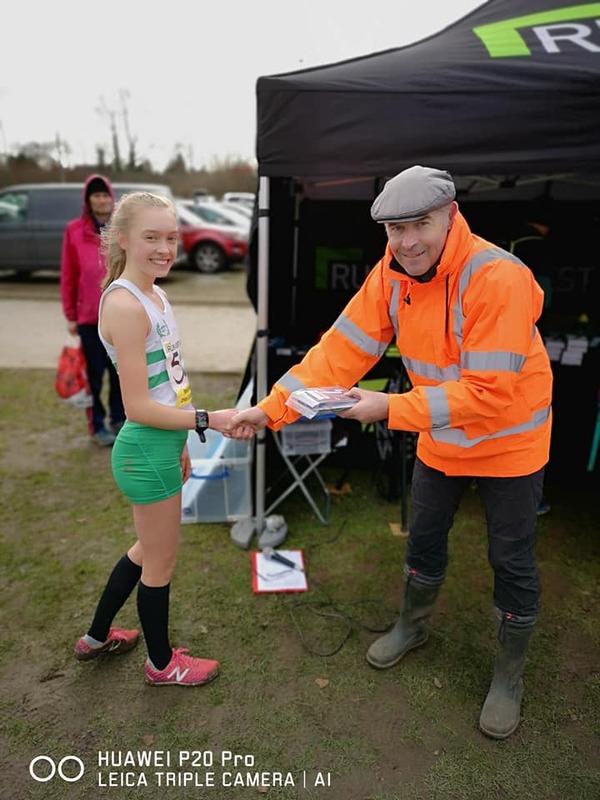 Ella Rose Cowan competed in all 4 races and was 20th overall in her first year in this league. 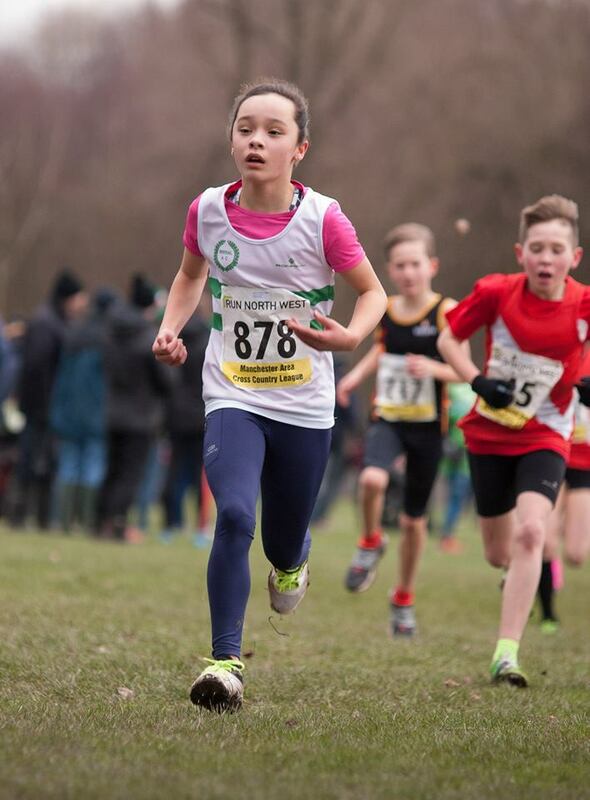 Isla Neal also competed 4 races in 51st place. 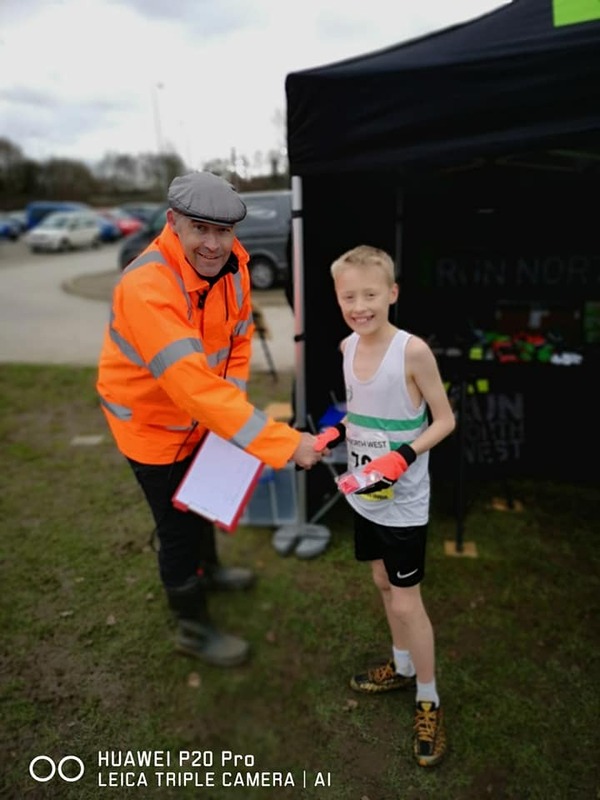 Alex Poulston won 3rd place in the U13 boys league. 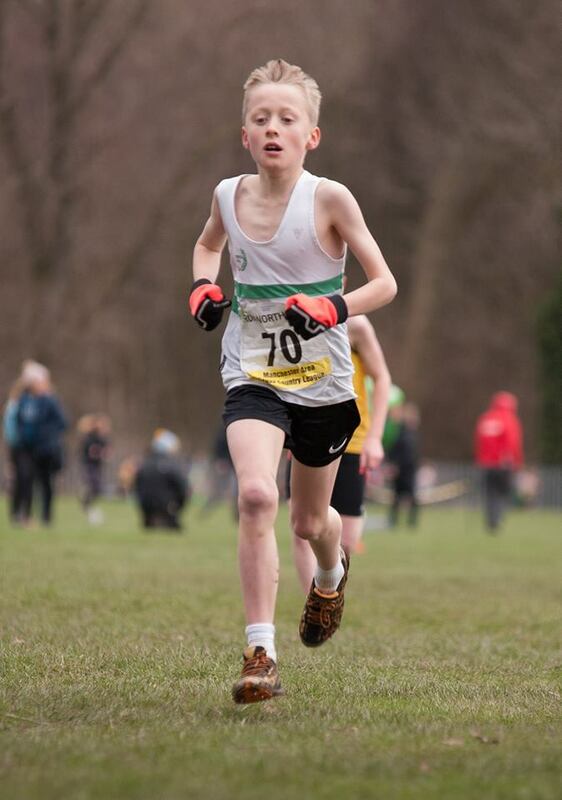 Alex has competed in the Manchester League for a number of years and it is great to see him continue to develop. 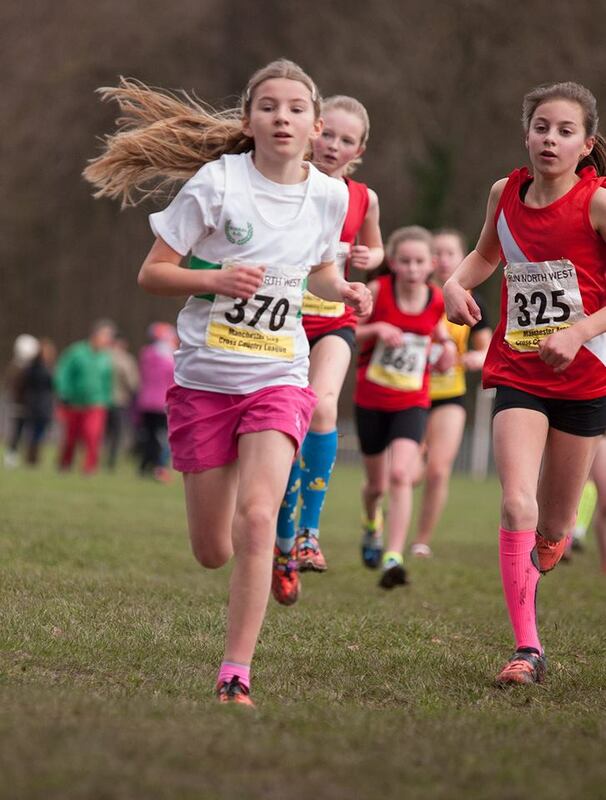 Two U13 girls competed with Emma Poulston completing 4 races out of 5 and placing 32nd in the league. 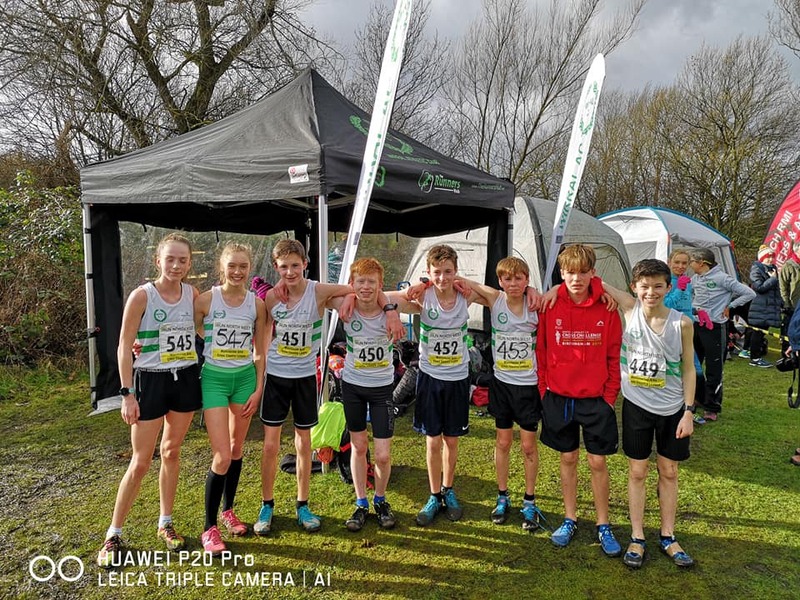 The under 15 boys are a close-knit squad led by Sarah Kearney and it was wonderful to see them work together as a team. Their hard work and commitment paid off and they came away with a fantastic team gold, with Dan Hayes winning the league silver and TJ Jones just missing out on a league medal in 4th place. 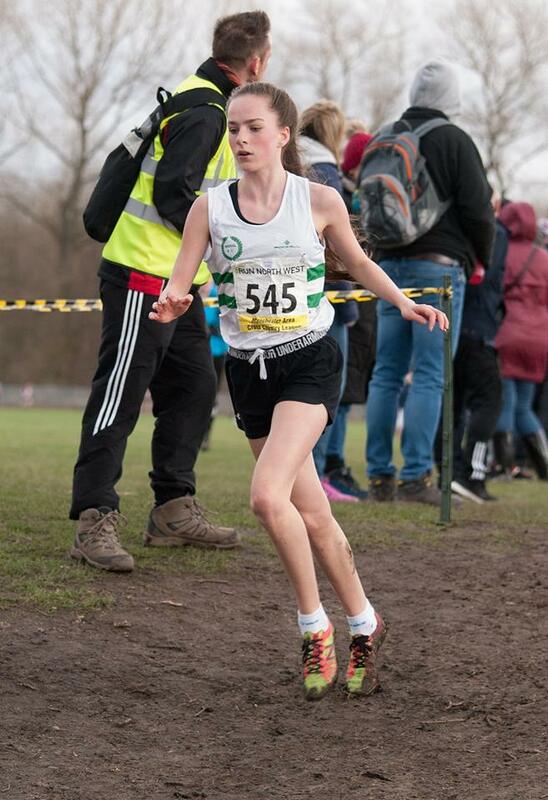 Ellen-Mary Kearney also had a great season in the U15 girls competition taking the league silver and finishing the league with a win in yesterday’s final race. 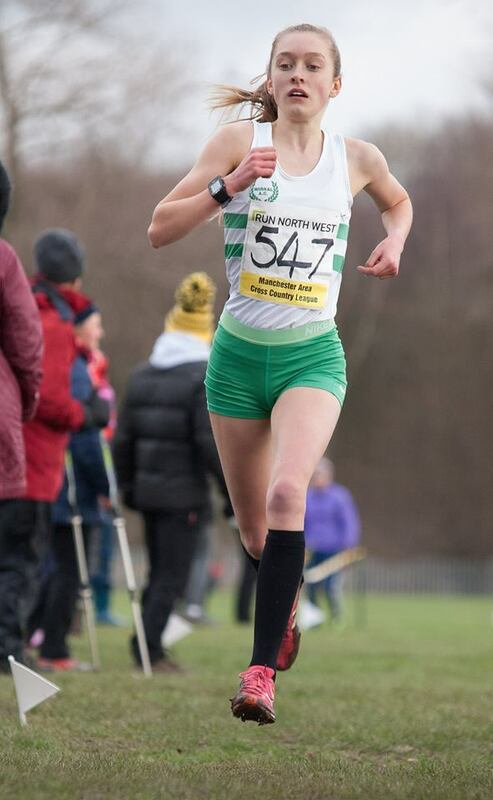 Keira Brady-Jones finished in top 5 positions in all 3 of the races in which she competed and took 2nd place in the 2nd meeting. But fortunately for me, it’s not all about winning. 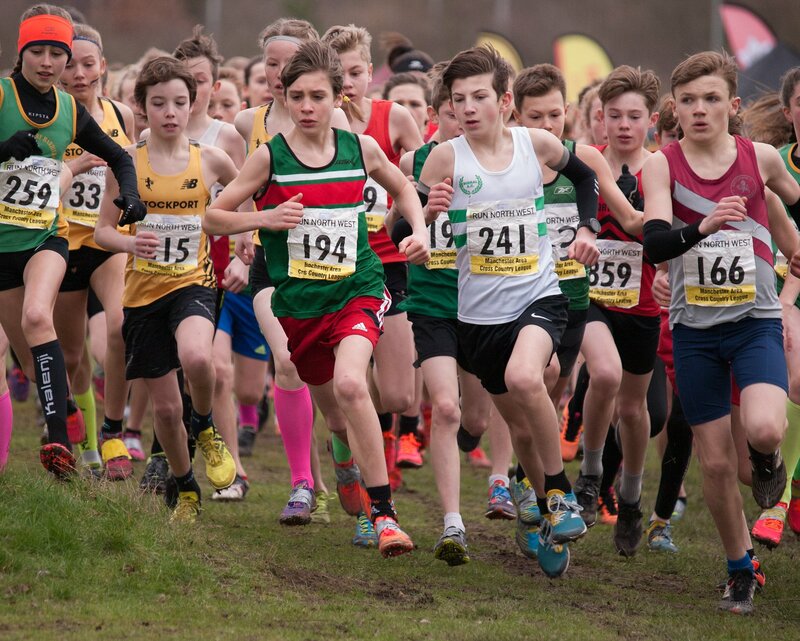 It was just great to see kids and adults out having a great trip out representing their club in one of the most competitive cross country leagues in the country. 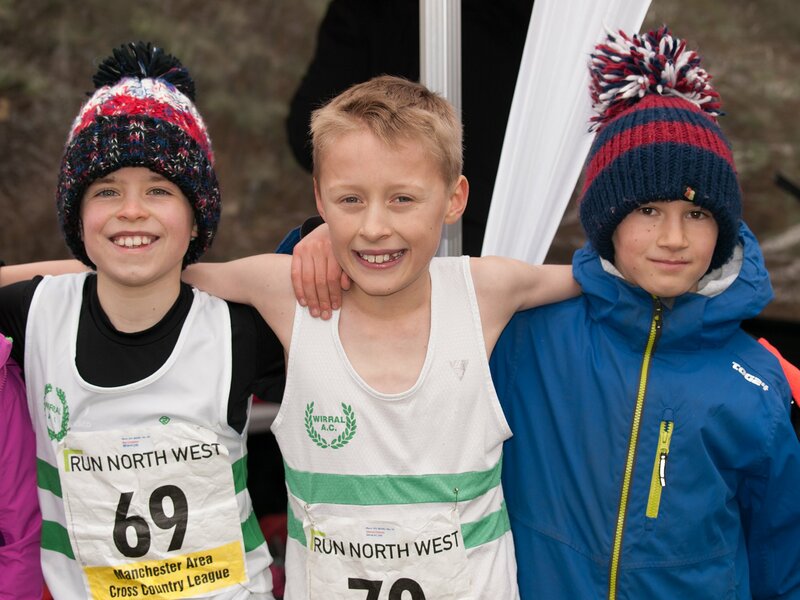 So roll-on next year when we will hopefully have even more out for the Mighty Wirral AC!! Thanks so much to Ronan Kearney for setting up the Club Tent and Flags, Margaret Milne and Vicky Cowan for promoting the league to the U11s, Sarah Kearney for supporting the U13s and U15s and to everyone else who has supported or competed this year. 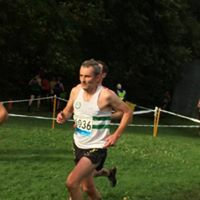 No Replies to "A great season for Wirral AC at the Manchester Cross Country League"